We have had a lot of big releases in 2017 and still await some of the best of the year in the coming months. We witnessed the grandeur of films like Baahubali: The Conclusion and saw the fall of Tubelight, but next year promises even bigger films than this. We aren’t just talking about the production money or the star cast or the total collections it will make, we are talking about these things together, collectively. Whether or not these upcoming Hindi movies can turn the tides in Bollywood is something only time will tell, but that won’t stop fans from anticipating some of the best big-ticket films next year. Here we give you a rundown of upcoming Bollywood movies in 2018 to look forward to and enjoy with your movie people. This upcoming movie in August stars Taapsee Pannu and Rishi Kapoor in the lead roles. Mulk is an edge-of-the-seat thriller which is mainly shot in Lucknow and Banaras. Pannu reportedly plays the role of Kapoor’s daughter-in-law in the film. Akshay Kumar started the year with the super hit film – Padman. His next one too is a biopic on the life of Tapan Das and showcases the journey of the Indian hockey team which won the first ever Olympic Gold medal for the country. This Independence Day, Akshay Kumar and John Abraham’s films are going to clash at the box-office. The upcoming release in August 2018, Satyameva Jayate will hit theatres on the same day as Gold. The two actors are good friends and it is surprising that Abraham decided to release his movie alongside Gold as Akki had blocked the date way in advance. Satyameva Jayate is an out-and-out entertainer which will have plenty of high-octane action sequences. Happy Bhag Jayegi was a sleeper hit and now the sequel is on its way. While Diana Penty, Jimmy Shergill, and Abhay Deol will be seen in this part too, Sonakshi Sinha and Jassi Gill are the new additions to the cast. The film, which releases on August 24, is likely to take off from where the first one ended. Happy Phir Bhag JAYEGI will play a crucial role in Sonakshi Sinha’s career. Shahid Kapoor’s last film – Padmaavat – may have been a blockbuster but it was Ranveer Singh who walked away with the accolades. Kapoor will now be seen in Batti Gul Meter Chalu, a film based on the theft of electricity in the rural parts of India. Besides him, it stars Shraddha Kapoor and Yami Gautam. This upcoming release in 2018 initially starred Bhumi Pednekar and Ayushmann Khurrana but the shoot was stalled right after the first schedule. The lead actors were replaced by Taapsee Pannu, Vicky Kaushal, and Abhishek Bachchan, while Anurag Kashyap was roped in as the director. J. P. Dutta is best known for making Border, LOC Kargil, Refugee, and Umrao Jaan. The director is back after a hiatus and yes, his next film too is based on war. Paltan, which stars Arjun Rampal, Esha Gupta, Jackie Shroff, Sonu Sood, Sonal Chauhan, Harshvardhan Rane, Gurmeet Choudhry, and Rohit Roy covers the Indo-Sino war in 1962. Watch Varun Dhawan star opposite Anushka Sharma for the first time in his career in this new Bollywood movie in September 2018. Sui Dhaaga is produced by Yash Raj Films and is helmed by Sharat Katariya of Dum Laga Ke Haisha fame. The film will be out on September 28. The shoot of this Diljit Dosanjh, Kriti Sanon, and Varun Sharma-starrer has just wrapped up and the film is expected to release on September 14. This may change if the post-production work isn’t completed in time. Arjun Patiala is supposed to be a comic caper with elements of romance in it. There’s not much talk about the movie but that should change once the posters, trailer, and songs are out. Drive is an upcoming Bollywood movie in September. There have been numerous delays due to reshoots and rumor has it that Drive will release directly on Netflix. The movie, which stars Sushant Singh Rajput and Jacqueline Fernandez, is produced by Karan Johar. Ranbir Kapoor plays Sanjay Dutt in the latter’s biopic which is directed by none other than Rajkumar Hirani. Titled Sanju, the movie will also stars Anushka Sharma, Sonam Kapoor, Dia Mirza, Paresh Rawal, and Vicky Kaushal. This upcoming release in June will show various parts of Sanjay’s life like his rise to stardom and the time he spent in jail. Sandeep Singh is one of the most respected hockey players in the country. He led the national team to multiple victories and you can now watch his story in Shaad Ali’s Soorma. Diljit Dosanjh will be seen as Singh in this sports drama. Soorma also features Taapsee Pannu and Angad Bedi. The movie’s release date is July 13, 2019. The Hindi remake of Nagraj Manjule’s Sairat is titled Dhadak and will mark the big screen debut of late Sridevi’s daughter – Janhvi. This upcoming release in 2018 is produced by Karan Johar who is known to launch star kids. Shahid Kapoor’s half-brother, Ishaan Khattar is Janhvi’s costar in this July 20th release. 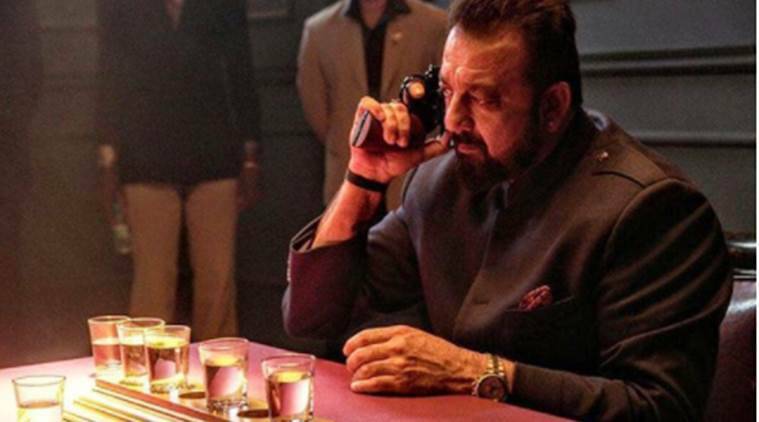 Sanjay Dutt’s comeback film Bhoomi didn’t do much for his career and now all eyes are on his new Bollywood movie 2018 – Saheb, Biwi Aur Gangster 3. The third part of this hit franchise by Tigmanshu Dhulia will be bigger and better than the first two movies. Mahi Gill and Chitrangada Singh are cast opposite Dutt in this drama. 3 Dev was supposed to hit theatres in April but has been pushed several times. Starring Ravi Dubey, Karan Singh Grover, and Kunaal Roy Kapur, the upcoming movie in July is supposed to be an out-and-out comedy. Among the upcoming releases in 2018, Race 3 has to be one of the most hyped ones. Starring Salman Khan, Jacqueline Fernandez, Bobby Deol, Daisy Shah, Anil Kapoor, Saqib Saleem, and Freddy Daruwala, Race 3 hits theaters on Eid. It’s a no-brainer that Bhai’s fans will flock to the cinemas to catch this first day, first show. Fanney Khan is the official remake of Oscar nominated Dutch film from 2000, “Everybody’s Famous”! Fanney Khan is a musical comedy which features Anil Kapoor, Aishwarya Rai Bachchan and Rajkummar Rao in the lead roles. Earlier it was speculated that R. Madhavan was to play the lead role opposite Aishwarya, but he backed out later. Anil, who had last worked with the leading lady in Taal, will appear together on screen with her after a long break of 17 long years. The movie is expected to release on 15th June, 2018. Getting Amitabh Bachchan and Rishi Kapoor together after decades is nothing short of a casting coup. Directed by Umesh Shukla of OMG – Oh My God! fame, 102 Not Out talks about the relationship between a father and son. This upcoming release in May was supposed to hit theatres in December 2017 but was pushed to avert a clash with Padmaavat. Hansal Mehta and Rajkummar Rao’s third collaboration after City Lights and Shahid, has already won hearts all over. Omerta showcases the life of the terrorist, Omar Saeed, and will release on May 4. Rao has played the part with utmost sincerity and his performance won praise when the film premiered at various festivals. Harshvardhan Kapoor made his debut with Rakeysh Omprakash Mehra’s Mirzya, and his next film – Bhavesh Joshi – is going to be out on May 25. Vikramaditya Motwane, who is best known for Udaan, has helmed this new Bollywood movie in May 2018. Meghna Gulzar, who has made quite a buzz in the industry with films like Filhaal and Talvar is all ready to shoot her next directorial Raazi. This upcoming Bollywood movie will feature the much acclaimed Alia Bhatt who came up with Dear Zindagi and Badrinath Ki Dulhaniya this year paired up with the Masaan actor Vicky Kaushal. This upcoming Bollywood movie will be telling a story of a Kashmiri girl played by Alia married to a Pakistani Army officer played by Vicky, in order to spy for Indian intelligence with invaluable information during the 1971 Indo-Pak war. The movie is expected to release on 11 May 2018. Parmanu, the nuclear espionage drama will be directed by Abhishek Sharma and stars John Abraham, Diana Penty and Boman Irani in the main lead roles! The Story of Pokhran has created a lot of interest on social media when the makers released the first poster of the film. Parmanu is based on the nuclear test conducted in Pokhran (Rajasthan) in 1998. the movie will be released on 6th April, 2018. This movie’s inspiration has been taken from the life of Coimbatore based Arunachalam Muruganantham, a normal man who found a way to make affordable sanitary napkins for women in his village. Written and directed by R Balki, the movie is based on a chapter from Twinkle’s book ‘The Legend Of Lakshmi Prasad’. The movie stars Akshay Kumar, Sonam Kapoor and Radhika Apte in the lead roles. The movie will go on floors on 25th January, 2018. Sushant Singh Rajput is currently working for his upcoming sci-fi Hindi thriller, Chanda Mama Door Ke, where he will be playing an astronaut and is pretty excited about his films. Directed by Sanjay Puran Singh Chauhan, the film also stars Nawazuddin Siddiqui, R. Madhavan and Saif Ali khan. The upcoming Bollywood movie is slated to release on in the month of December and will be the first of it’s kind made in the industry. After getting out in the open about girlfriends and their tantrums in Pyaar Ka Punchnama series, the fantastic trio of Kartik Aaryan, director Luv Ranjan and Nushrat Bharucha along with Sunny Singh is going to light up the big screens with their upcoming release Sonu Ke Titu Ki Sweety. The team is back and has decalred a war between Bromance and Romance. This upcoming bollywood movie seems to be like the previous Pyaar Ka Punchnama movies but is different in its own ways. Scheduled to release on February 09, 2018, the movie strikes all the right chords and is entertaining to the next level. Pari is a thriller drama starring Anushka Sharma and would be her third film as a producer after NH10 and Phillauri. She has collaborated with Bengali actor Parambrata Chatterjee and debutant director Prosit Roy. The movie is scheduled to release on March 02, 2018 and is much awaited by the audiences because of her much hyped wedding with Indian cricket team captain Virat Kohli. Directed by Akshat Verma, of Delhi Belly fame, Kaalakaandi features Saif Ali Khan in the lead role and shows the city of mumbai with underworld goons, doomed bankers and idealistic lovers all closely knitted to each other. This dark comedy thriller is played out in 12 hours, with six characters from different worlds, from urban, ambitious upwardly mobile Bombay and its dark, neglected under-belly. After coming out with movies like Rustom, Special 26, A Wednesday, M.S. Dhoni: The Untold Story, Baby and more, director Neeraj Pandey is all set to thrill the audiences with his latesy Aiyaary this month. Starring Siddharth Malhotra, Manoj Bajpayee and Naseeruddin Shah in the lead roles, the film is about what a soldier resorts to ultimately in the face of a crisis and is scheduled to release on February 16, 2018. This new bollywood movie revolves around the storyline of Veer Arora who is always keen on solving people’s problems until he faces a major problem in his own life of persuading his girlfriend Geet’s father’s consent to marry his daughter. The movie has Pulkit Samrat, Kriti Kharbanda and Jimmy Shergill in the lead roles. The movie features some high on fashion punjabi and haryanvi songs and is releasing on March 02, 2018. This upcoming movie in march stars Ajay Devgn and Ileana D’cruz in lead roles. Directed by Raj Kumar Gupta, Raid movie revolves around the story of Pandey, an IT Commissioner of Lucknow who had raided the house of businessman Sardar Inder Singh in 1981 and recovered assets worth Rs 1.6 crore in cash and gold. The lead pair will be seen together after Milan Luthria’s Baadshaho and audiences are already loving this new pair! This upcoming Hindi movie is directed by Siddharth P Malhotra and produced by Maneesh Sharma. The movie has Rani Mukherjee playing the role of Naina Mathur who has a nervous system disorder Tourette Syndrome, which forces an individual to make involuntary repetitive sounds or in our layman terms Hichki. The film focuses on her journey and how she overcomes her shortcoming while being a teacher in a primary school. The movie will release on 23 March. This latest installment of Ahmed Khan directorial action thriller Baaghi 2 will arrive at the theatres, all guns blazing, on March 30. With Disha Patani as the leading lady by his side this time, Tiger Shroff is seen in a power packed avatar and is even being called Bollywood’s very own Rambo for the role. This upcoming movie in March is eagerly awaited by the critics as well as audiences and will be produced by Sajid Nadiadwala. This new bollywood movie has Irrfan Khan, Kriti Kulhari and Arunoday Singh in the lead roles. Directed by Abhinav Deo, the movie’s trailer was recently released and has Irrfan running in shorts and piquing audience’s curiosity to the next level. This freaky comedy film will be released on April 06, 2018 and is going to be a sure shot winner at the box office because of the superb cast and Delhi Belly director. After Rangoon and Kaalakandi, Saif Ali Khan is coming back with a movie which has managed to pull the audience’s interest just after the first look. This upcoming hindi movie also has Chitrangada Singh and Radhika Apte in the lead roles. Directed by Gauravv K Chawla, ‘Baazaar’ revolves around Indian stock market and according to reports, is inspired by the 2013 film ‘The Wolf of Wall Street’. Check out this space to stay updated with more new Bollywood movies lined up next!